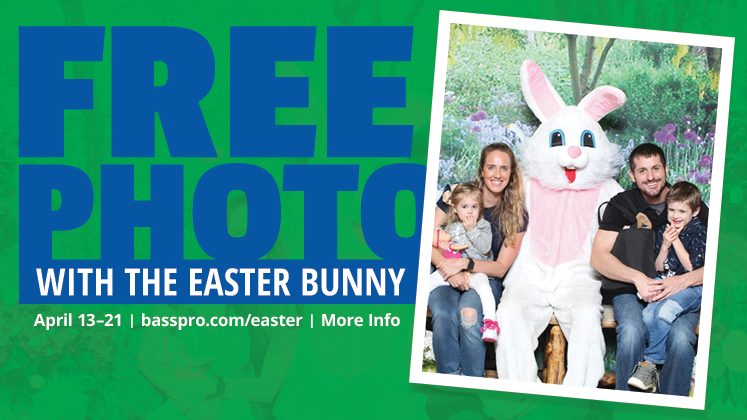 Photos: 1 free 4x6 photo per family. Free giveaway: With photo to the 1st 75 kids Monday April 15th through Thursday April 18th evening starting at 5:30pm only. 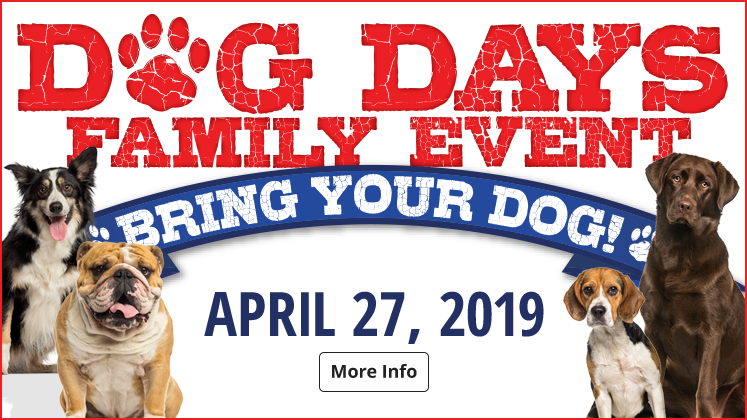 Join us Saturday April 27th 11am - 3pm for one of our favorite events! The first 100 customers to attend the event will receive a pet treat bag, dog bag dispenser and a roll of bags. There will be a free photo download for you and your dog! Three seminars on a variety of topics from dog training to health and wellness will also be hosted. 2pm Outdoors with your Dog. 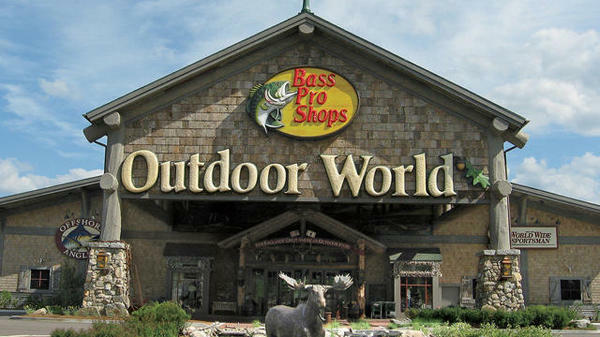 While you'll find a huge selection of outdoor gear, Bass Pro Shops stores are also part museum, art gallery, antique store, aquarium, education, conservation and entertainment center. Using more than 3,500 area artifacts, antiques, pictures, mounts and memorabilia, the store becomes a living museum of New England's hunting, fishing, camping and other outdoor legacies. Join us every Tuesday and Thursday at 6:30 pm, and Saturdays at 1:30pm for our live fish feedings and informational demonstrations at our 34,000 gallon, freshwater aquarium. Times subject to change. The aquarium is filled with over 400 native New England fish. Other water features include a 5,500 gallon turtle pond and a 3,800 gallon trout pool. Bass Pro has teamed up with Patriot Place and Ocean Spray to offer a close look at a working cranberry bog. You can walk or snow shoe the ½ mile nature trail and checkout some of New England’s fall foliage and might even run across one of our native wild animals. You can access the trail/Bog behind Bass Pro shops. The menu features a great selection of food and beverages from tasty appetizers like Blue Fin Sliders or Three Cheese Quesadillas to our Specialty Grilled Sandwiches and Hearty Cheeseburgers. Eat in the main room or dine outside on the patio overlooking the cranberry bog. Fishing and Hunting Licenses - Get Yours Here! Need a new Fishing or Hunting license to get ready for the season? 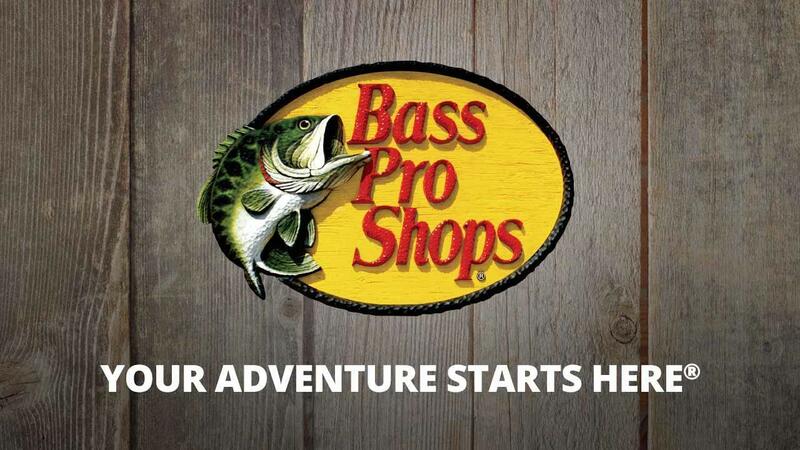 Bass Pro Shops has partnered with Mass Wildlife and its online license program to get your new license. Throughout the year, we host the Spring Fishing Classic, Fall Hunting Classic, and a Go Outdoors event. In addition we have numerous other seasonal events like Free Boat Shows, Easter Events, Family Summer Camp, Halloween Bass Pro Style, Santa's Wonderland and more! Come enjoy an evening with Mass Cruisers! One of the biggest cruises on the east coast is right here at Bass Pro Shops at Patriot Place. Hundreds of cars, trucks and motorcycles cruise their way to Bass Pro to show off their pride and joy. Every other Thursday night from April through October. We also offer workshops in Fly Tying, Fly Casting and special courses like our Hunting Safety Course, Concealed Weapons Course, and USCG Auxiliary Safe Boating Class. We also have some store only events like Fishing with the Pros for Kids. From Tracker aluminum and Nitro fiberglass bass boats, SunTracker pontoons, Tahoe runabouts and Mako inshore and offshore boats we have a boat for every need and though matter what brand or model you currently own we are considering all trades. Stop in to see a Boat Sales Consultant today or call 508-216-2680 to speak with one and schedule your trade evaluation. Impressive indoor waterfalls, giant aquariums, wildlife mounts, delicious food and more make Bass Pro Shops an attraction for the sporting family. Visit us today at 1 Bass Pro Drive, Foxborough MA or call for more information to 508-216-2000. -12 time Mass. State fish off qualifier. -Fishes New England based amateur and pro bass tournaments. -Pro Staff for: Bass Pro Shops,Tracker/Nitro Boats; Mercury Engines; Toyota Tundra; Marine USA; Berkley; Spiderwire; ProTour Trailers; Tru-Tungsten; Strike King Lures; Lowrance; Navionics. -Dedicated to introducing kids and family to fishing and the outdoors. The National Wild Turkey Federation is a national nonprofit conservation and hunting organization that, along with its volunteers, partners and sponsors, has worked for the conservation of the wild turkey and preservation of our hunting heritage. We raise money to conserve and protect hunting both nationally and on a local level. 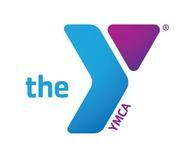 The Chapter also provides college scholarships to deserving local students. The New England Patriots Alumni Club is a professional football alumni association, chartered in 1997 and incorporated in 2005 as a 501(c)(3) non-profit organization. As a goodwill extension of the New England Patriots L.P., it provides an opportunity for community outreach along with an opportunity for former Patriots players to remain actively involved with the Patriots organization as well as each other. NEPAC is comprised of a group of retired New England Patriot players and coaches who have at least one game on an active regular season roster with the Patriots.